From Sun Down to Siberia, the quintessential insider's guide to skiing or riding all seven of Vail Mountain's Back Bowls in a single day, possibly the best you'll ever have on snow. In his memoir, founder Pete Seibert recalls that when he stood atop Ptarmigan Ridge with rancher Earl Eaton in 1957 and gazed out over Vail Mountain’s backside for the first time, “I thought I had never seen another mountain form that lent itself so well to skiing.” The Back Bowls: seven powder-filled alpine basins stretching west to east for six miles. 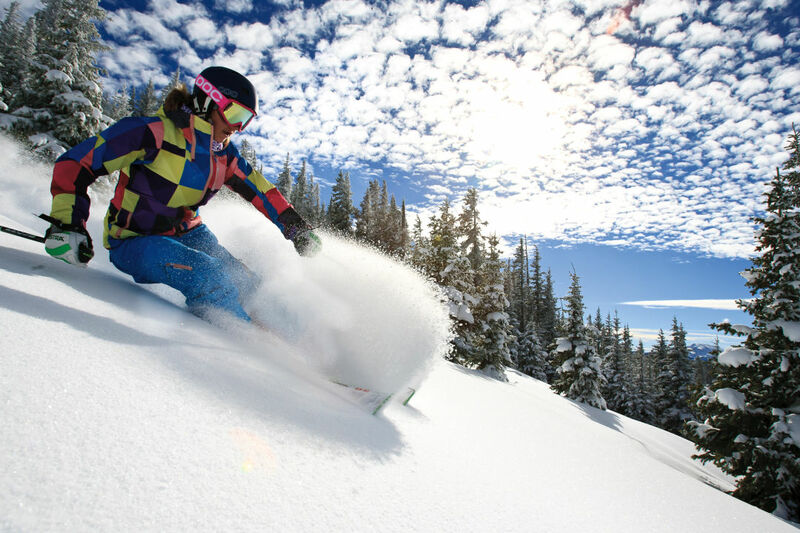 Today, it’s the snow-sports equivalent of Disney World, a destination on every aficionado’s bucket list, and on powder days the area attracts crowds rivaling those at Florida’s most-visited theme park. It’s also thirty times the size of the Magic Kingdom, so you’ll need a plan. And this is it: from Sun Down to Siberia, the quintessential insider’s guide to skiing or riding all seven of the Back Bowls in a single day, possibly the best you’ll ever have on snow. 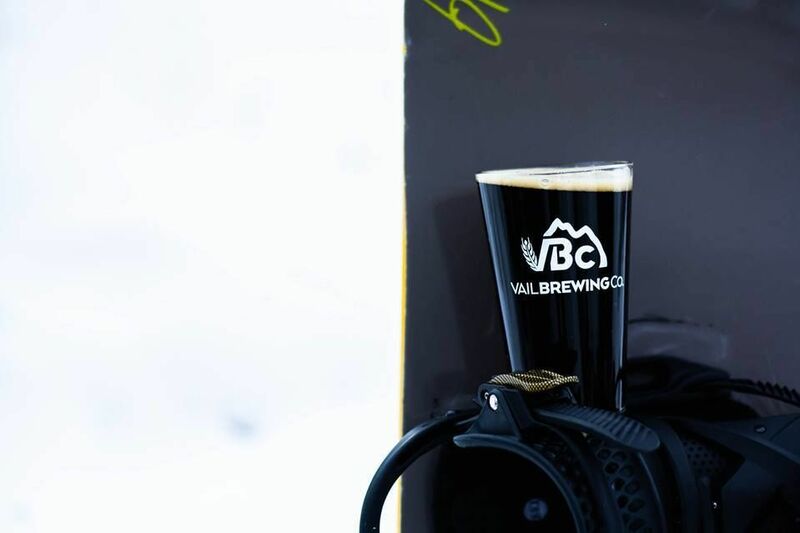 Usually when skiers and snowboarders rave about epic days on amazing terrain with awe-inspiring views and incredible snow, the reports are hyperbolic—except when they’re talking about Vail’s Back Bowls, in which case such reports are probably spot-on. 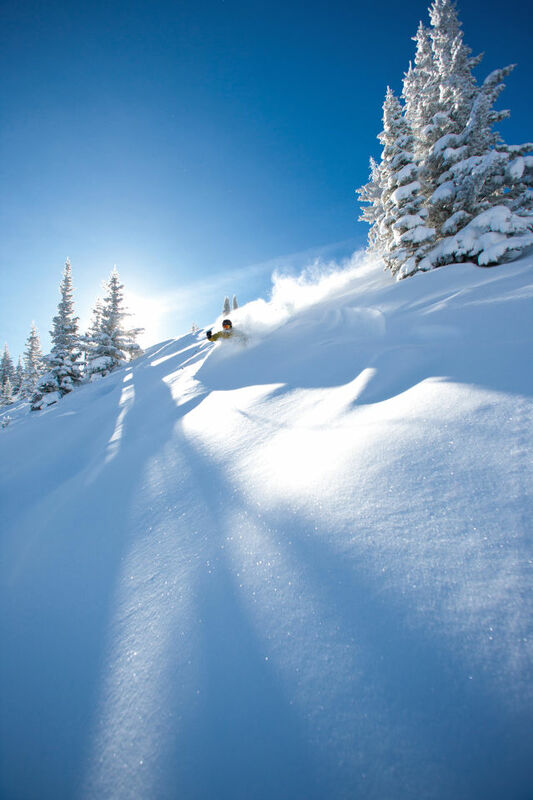 Encompassing 3,017 acres (more than many entire ski areas, including Sun Valley, Jackson Hole, and Snowbird), Vail’s Back Bowls command legendary status, and for many, these vast powder fields are what make Vail ... well, Vail. “The front side’s groomers are great, but the Back Bowls are a wonderland,” says former US Ski Team racer and Vail local Brenda Buglione. 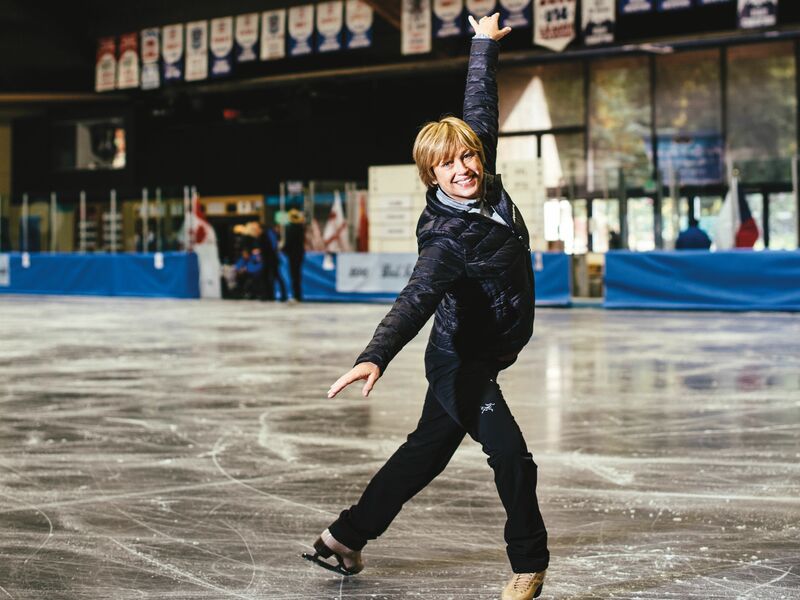 “It’s inspiring, and it keeps the adrenaline going because there’s just so much challenge and so much to do.” With a few exceptions, the Back Bowls are for strong skiers who enjoy ungroomed terrain. Compared to the spit-and-polished front side, this is the Wild West, full of untamed snow, potentially flat light, the occasional cliff, and wide-open spaces. Getting lost here feels like taking the wrong subway in downtown Manhattan: an adventure into the unknown but a little scary. Although it’s difficult to get too far astray (all of the runs lead back to lifts), it is possible to get caught on a gruelingly long thigh-burner in crud snow or in a crowded lift line far, far away from your friends’ scheduled meet-up. So, while there’s no “right” way to ski the Back Bowls, knowing where you’re going—by having a game plan—promises a frustration-free introduction to these icons. “The best thing about the Back Bowls is they are generally south-facing, so the runs get a lot of southern exposure,” says Pete Seibert Jr., son of Vail’s founder and a lifelong Vail resident. “When we get into a time between storms, you can still always find soft snow if you know where to look.” For the softest snow, most experts will tell you it’s generally best to start your day skiing the east-facing slopes as the morning sun warms and softens the snow. 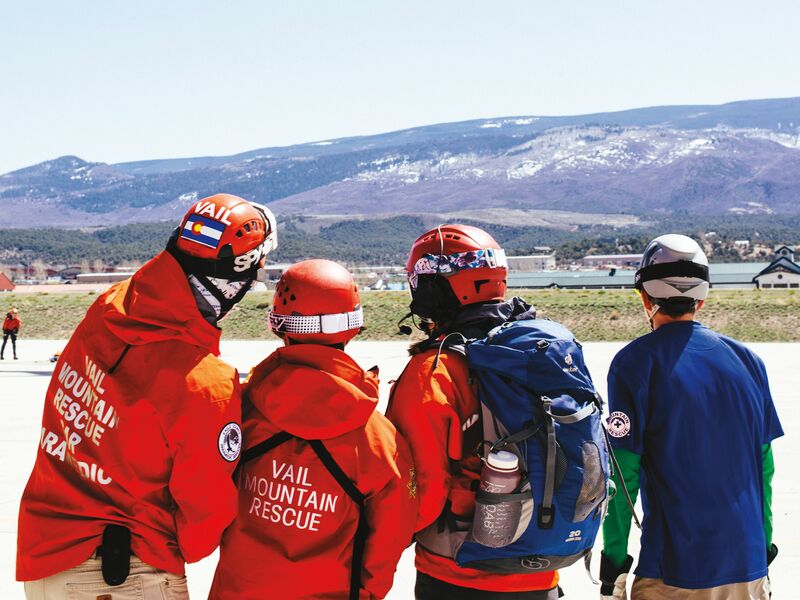 “In the spring, when you learn to follow the sun, the slightest difference on a subtle ridge on the west wall of China Bowl puts you in perfect softness when your friend only yards away gets sucked into overbaked mank,” says Lance Wellbaum, director of Vail’s adult ski school and a twenty-year local. By a happy coincidence, the east-facing slopes are also usually the leeward slopes. “The prevailing winds are generally from east to west,” Wellbaum explains. “Often, when we report inches of snow overnight, the leeward faces fill in with feet.” Later in the day, when the sun is starting to set, hit the now-warming west-facing slopes. 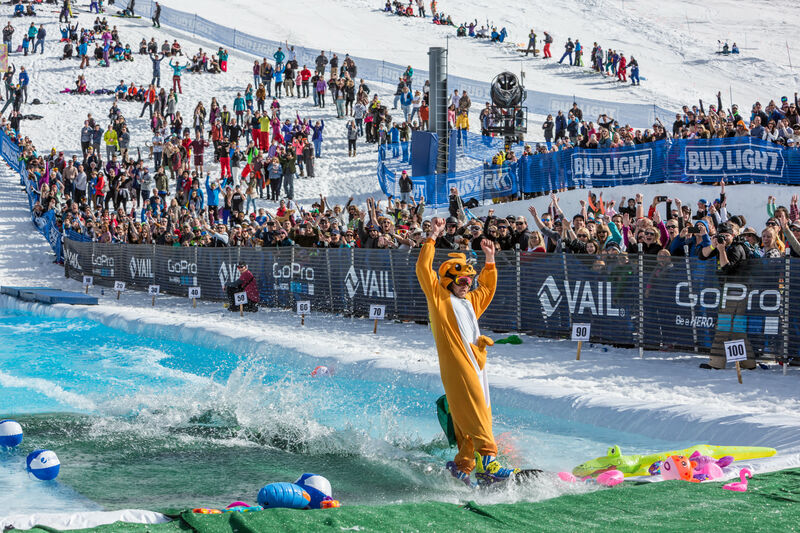 This “Tour of the Bowls” starts on the west side of Vail Mountain and hits all seven Back Bowls: Sun Down, Sun Up, Tea Cup, China, Siberia, Inner Mongolia, and Outer Mongolia. The route takes into consideration travel times, pit stops, crowd avoidance, and slope aspect’s effect on snow conditions. Also, it leaves plenty of room for last-minute decisions, because you will surely veer from the plan—maybe the run you just skied is begging to be skied again, or you spotted a swath of untracked powder from the lift. Whether or not you make it to all of the bowls, get ready for an experience like none you’ve ever had at any resort. Whatever the Back Bowls throw at you—deep snow, open spaces, gasp-inducing terrain, stunning views—they do it in a really, really big way. Starting in Lionshead Village, take the Born Free Express (Lift 8), which is right next to the gondola yet never seems to have a lift line. At the top of Born Free, take a left and ride Avanti Express (Chair 2) to Game Creek Bowl. To get there from the Cascade Village base area (which has parking, full facilities, and a lift-ticket window), take the Cascade Village lift (Chair 20) to the Pride Express (Chair 26), then approach Game Creek via the Game Trail catwalk. Game Creek is a great place to take a warm-up run (assuming it’s not a powder day, in which case warm-up runs are not allowed). Not an actual Back Bowl, Game Creek is like a small ski area in and of itself, containing green, blue, and black runs—all within a neat, easy-to-navigate basin. From the top of Chair 2, try Ouzo, which is steep and almost always groomed. If there’s fresh snow, Ouzo can be one of your best runs of the day: a carpet of powder over smooth, groomed rollers. Locals dish on the best of the Back Bowls. After riding the Game Creek Express (Chair 7), you’re ready to enter the Back Bowls. First up is Sun Down Bowl, where the views and the skiing are equally outstanding. Don’t be intimidated by the signs warning you of danger and unmarked obstacles; while Sun Down Bowl is known for its steeps and extreme terrain, there are (relatively) easy ways down. Follow the tracks heading southeast below Ptarmigan Ridge. Snowboarders usually cut in on one of the first few runs that beckon below the ridge; Ricky’s Ridge, with its sustained pitch and east-facing aspect, is a great early-morning option. But if you pass on those and take the traverse all the way out, you can ski Seldom, Never, or O.S., three of the least “resortlike” runs at Vail. A locals’ favorite, Seldom starts out friendly enough, with some open trees and a moderate pitch, but then becomes one broad cliff band, which can be a modest, pillowy drop or a hairy commitment depending on the snow conditions. (You can avoid the cliffs altogether by heading skier’s left, where there’s a steep but small mogul field to maneuver instead.) The steep trees on Never and the open powder fields of O.S. don’t get much traffic and therefore can still have untracked snow days after a storm. According to Seibert, these runs got their names back in the 1960s, when they could be accessed only via a very long traverse out and around from the top of Chair 5. “That’s how often they got skied: seldom and never,” he said. As for O.S., the name refers to what people would say if they missed the catwalk back to the lift and had to hike back up: “Oh, s..t!” This mistake is nearly impossible to make nowadays, thanks to obvious signage and a rope. Whatever route you take, you’ll end up on the Sun Down Catwalk to the High Noon Express (Chair 5), which takes you to the top of the mountain. Much of China Bowl, including Chopstix and Poppyfields, is gentle, intermediate (blue square) terrain. The Slot is groomed regularly, so it’s usually buffed and perfect for intermediates looking for a black-diamond challenge. Check the daily grooming report for runs that have been groomed on a “surprise” basis, which may include Jade Glade, Emperor’s Choice, Morning Thunder, Yonder, and Bolshoi Ballroom. From the top of Chair 5, before you enter Sun Up Bowl, face a moment of indecision: If the snow is great, it’s worth experiencing Forever while your legs are relatively fresh, since the run's 1,850 feet of vertical make it one of the longest sustained pitches of steep, ungroomed skiing you’ll find anywhere. So you might want to take another run in Sun Down Bowl on Forever—or Wow-Ever, a locals’ favorite that combines the top of Wow and then cuts over to the bottom of Forever—back to Chair 5. Then ski one of Sun Up's marquee east-facing runs such as Milt’s Face or Campbell’s. But if the snow is crusty or you feel the crowds at your heels, you’re better off waiting until the sun warms Forever’s west-facing slopes later in the day. Another cool option when the snow is not pristine is to ski the top of Apres-Vous and then cut left onto Cow’s Face (“Apres-Moo” to locals), and then over to Campbell’s and then down to the new Sun Up High Speed quad. Lines used to be a problem but no more: the new lift cut the ride time in half (it's 4 minutes now) and increased capacity of 65% over the old lift. At the top of the new lift you’ll have another decision to make, because you’ll have been watching people ripping up Yonder and Yonder Trees just under the lift and will be tempted to make a lap back down. Steal a lap, if you're ahead of the crowds. Regardless, once you're ready to move on, keep heading East by dropping into Tea Cup Bowl, one of Vail’s lesser-known and least-crowded areas. This smaller bowl is easily missed, which is probably why you can often find untracked snow days after a storm on Morning Thunder. (Just watch out for the small cliff and rock formations toward the bottom.) From here, you can drop into Marmot Basin for a few more loopy turns through the gully, or catch the Sleepytime Catwalk (yes, like Morning Thunder and Emperor’s Choice, named for the tea) to the Tea Cup Express (Chair 36). Mike Trueblood, ex-racer and general manager of Ski Club Vail, pays attention to pre-storm conditions. “Watch what happened the day before,” he recommends. “Was it snowing? Windy? Maybe they closed some stuff or pulled some ropes? It’s good to know.” No matter what, if you’re heading into the Back Bowls on a powder day, “Get up, get out, and get going,” Trueblood says. Plan to be on the lift by 8:30. Although it’s called Tea Cup Express, Chair 36 also accesses some of the best runs in China Bowl, including Genghis Khan, named for the very nasty thirteenth-century Mongol conqueror. 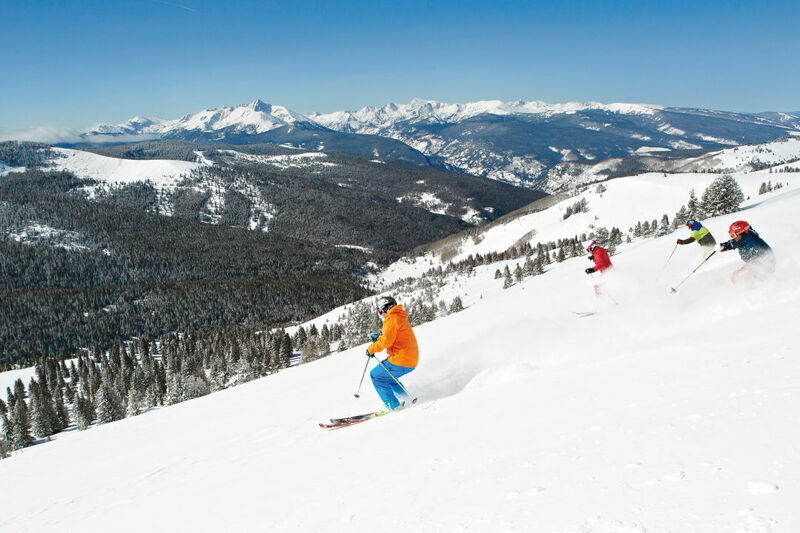 Genghis is a favorite among expert skiers at Vail for its cornice entry and steep fall line. As Anthony says, “It’s a leeward slope with maybe the longest sustained pitch, and I think it’s the best run on the mountain.” Another fun option is to take Sweet N Sour to the west wall of China Bowl (the bowl got its name from its east wall, which looks like the Great Wall of China, especially from this vantage point); it is steep at the top and usually has fluffy snow due to its east-facing aspect. Plenty of excellent food options don’t involve long travel times from the Back Bowls. 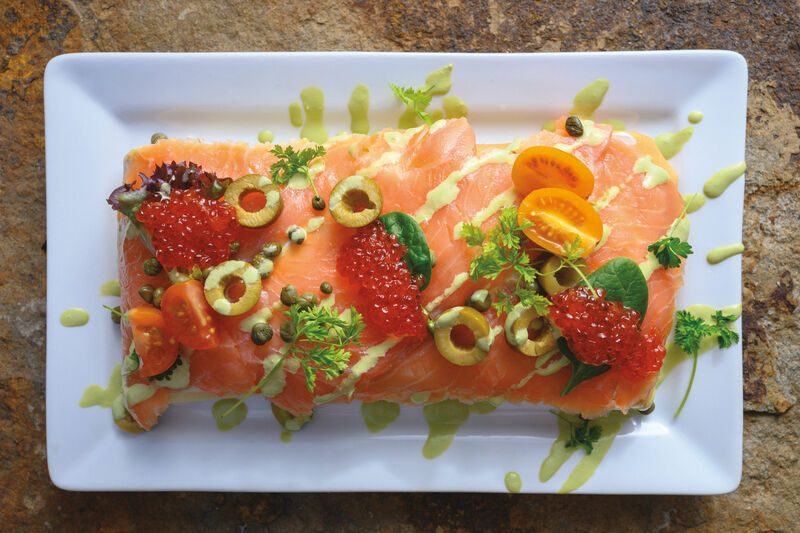 One of Vail’s signature on-mountain restaurants, Two Elk Lodge, sits atop China Bowl. While it’s huge and can get crowded, excellent food and people-watching make this a worthy stop. 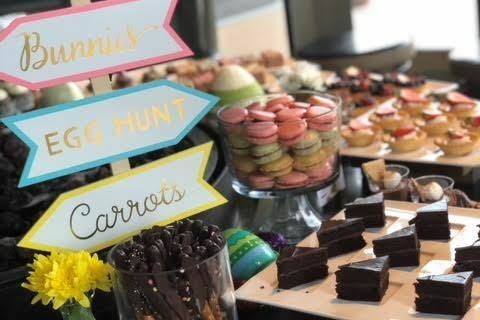 If you head over to Blue Sky Basin, Belle’s Camp (at the top of the Skyline Express lift) offers premade sandwiches, snacks, hot beverages, and, crucially, restrooms. The spectacular setting makes it the best option for a sunny-day pit stop. If you can stave off hunger until you’ve skied all of the bowls and are headed back west, Wildwood Smokehouse (which overlooks Sun Down Bowl at the top of the Game Creek and Wildwood Express lifts) serves much-deserved hearty fare such as pulled pork, ribs, and a delicious smoked chicken and wild rice soup. 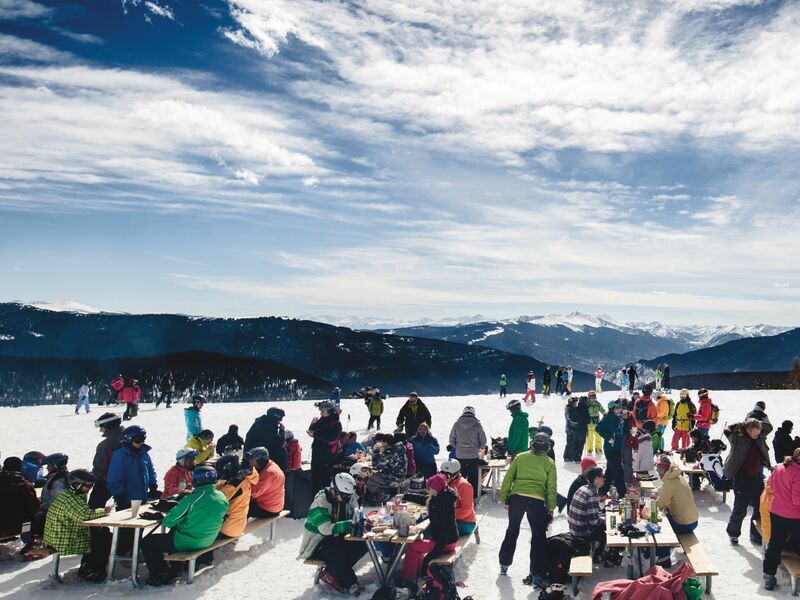 Still, many locals prefer to eat on the go, taking a “pocket lunch” and eating on the lift or in sunny spots between runs. At the base area, pick up picnic provisions at Joe’s Famous Deli (on Bridge Street) or Les Delices de France (in Lionshead). This time down, take Sleepytime to the Orient Express (Chair 21). It’s time to head to the Far East—where the bowls were aptly named for the most remote stretches of the Asian continent. In Siberia Bowl, you can drop off the ridge onto the steeps of Red Square. Just beyond Red Square is Rasputin’s Revenge, another locals’ favorite, especially on powder days, when deep snow makes the typically forbidding steepness and cliff bands less formidable. When you’re done with that, ride Chair 21 again and then hop on the T-bar-style Mongolia Poma (Lift 22). The terrain out here gets less steep—and less populated—as you travel east from Siberia Bowl to Inner Mongolia Bowl to Outer Mongolia Bowl. Of all the places in the Back Bowls, this area feels the most isolated. It’s worth the travel time to hit these bowls, because you can often find untracked snow and experience pristine skiing in their wide-open glades even days after a storm. 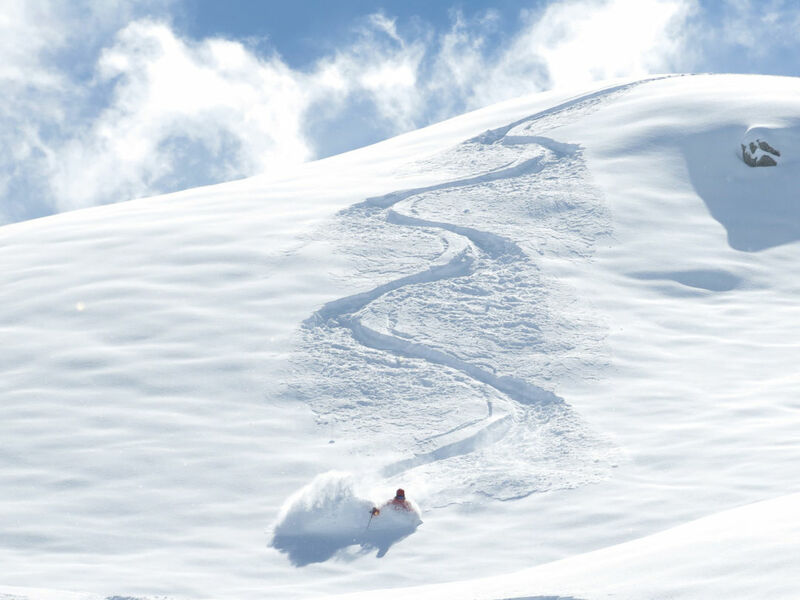 Proceed out the Silk Road above Inner Mongolia Bowl until a line beckons you, and just drop in. Repeat, traveling father out the road to Outer Mongolia Bowl. It’s a fairly long and flat ski out from the bottom, so preserve some speed. After skiing Mongolia for the last time, take the road past Chair 21 (which will probably have a line at this point) back to the Tea Cup Express. Whew! You just skied all of the Back Bowls! 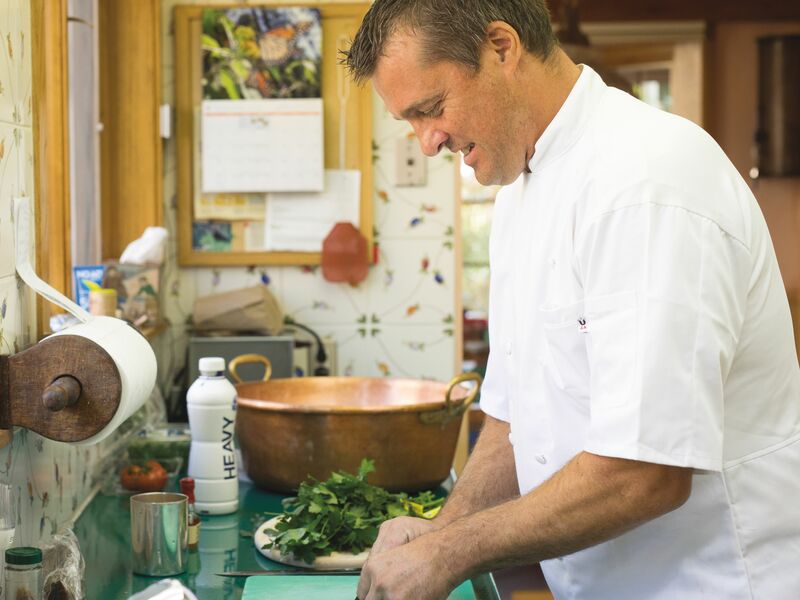 It might be time to eat lunch, in which case Vail has many options (see “Refuel,” right). It’s also a great time to hit Blue Sky Basin, which will probably be much less crowded than it was earlier in the day, or try some of the west-facing slopes you bypassed in the morning. Ski over to the trees just south of Yonder, where fresh snow hides for days, and then take a ride up Chair 5 for your long-awaited run on Forever, which should be sun-softened at this point. If your legs are not already screaming, they will be.